With summer right around the corner, we thought we’d feature a local business that focuses on fitness and getting into shape. Little did we know what we got ourselves into! Amenzone Fitness in Manhattan Beach is the ultimate boot camp/boutique workout studio that's unlike any we’ve ever experienced. 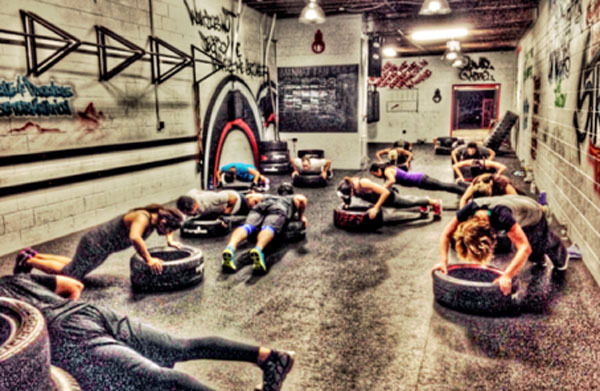 The workouts incorporate tires and body weight to build muscle and burn fat…yup, TIRES! Amenzone’s journey, growth and community outreach is truly awe-inspiriting. We sat down with Grand Trainer Tommy Cassano to learn more. (There’s a special discount for our readers if you read through the blog!). Q: How would describe Amenzone? 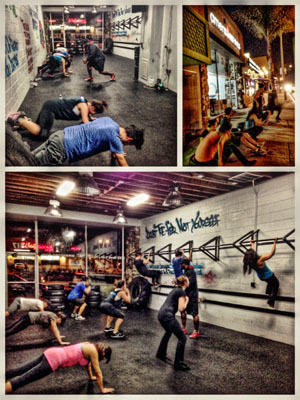 A: "Amenzone Fitness is a back-to-basics training zone tailored for athletically minded people. Our style of training promotes a natural workout that uses clean tires and one’s own body strength and movement to stay fit." Q: How’d the idea of the workout get started? A: "The inception of the primal workouts started with Amen Iseghohi our Founder and CEO of Amenzone Fitness. When Amen was 8 years old and living in Africa, his grandmother lead workouts for Amen and the family. The workouts used the natural environment, which happened to include tires. They not only used tires as an extension of the body, but also as a representation of life, to keep moving and progressing." Q: Why Manhattan Beach? What do you love most about Manhattan Beach? A: "The community!!! 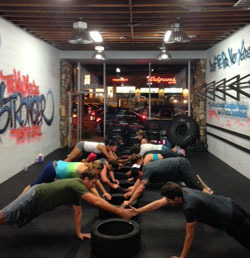 Manhattan Beach was the most natural fit for the first Amenzone Fitness location in California. We are much more than just a fitness studio, we create a lifestyle and community inside and out of our studios." Q: Is Amenzone connected/giving back to the Manhattan Beach community in any way? A: "Yes, 100%. We involve ourselves in as much activity as time allows between the Manhattan Beach farmers market, the Manhattan Beach chamber commerce, local runs, supporting the local sports teams (Mira Costa Baseball team banner and give-aways at the Mira Costa lacrosse team fundraiser). We are also very active in helping children become very active! We have partnered with Manhattan Village to host a kids workout the 4th Thursday of every month. We have our Amenzone Foundation 501c3 non-profit in Arizona. The non-profit is for Childhood Obesity and will soon soon be implement in CA." Q: What do you love most about what you do/what motivates you? A: "Infusing people with the inner energy to motivate themselves gives me true fulfillment. Furthermore, when our clients use that inner motivation to assist others in class during their fitness journey, it takes everything to another level." Q: What are some of the benefits of the workout compared to hitting the gym? A: "No weights, no machinery, no competition. Group training enables you to work as a team and motivate each other throughout the workout. Classes are 60 minutes long and completely different each time. The workouts are fast paced which maximizes fat burning and increases lean muscle." Q: How fit do people need to be to start? A: "Our workouts are for all fitness levels. Classes are go at your own pace." Q: What guidance do you guys provide for people that don’t really know where to start? A: "It’s not how you start, it’s how you finish. As long as you come into your first class no matter where you are on your fitness journey, we will guide you through the process." Q: What’s one of your best/favorite success stories? A: "One of our members beat breast cancer over a year ago and hadn't been able to workout in months. She stepped into Amenzone for the first time and has been coming to class every day for weeks. When she first started despite all her tribulations, she had a great attitude but was troubled about her fitness level and how much she had lost physically (former fitness model). Now she is back where she used to be and beyond due to her amazing mindset and drive." Q: Can you provide our readers with any special discounts to the studio? A: "Readers can try our free week trial and then they can enjoy a special membership rate after the free week." Q: What’s one thing you’d want everyone to know about Amenzone Fitness? A: "It’s a one of a kind, unique workout that people become addicted to. The physical change and mindset change is what members find so addicting. They also enjoy the community we have built at Amenzone."